This long 6 days tour package to Golden Triangle with Ranthambore experience you the fascinating lifestyle of the royals of Rajasthan and the Mughal dynasty. This tour amazed you with lofty forts, palaces, and scenic & natural beauty with the topping of the wildlife experience. Praise the beauty and archaic work of the Taj Mahal. 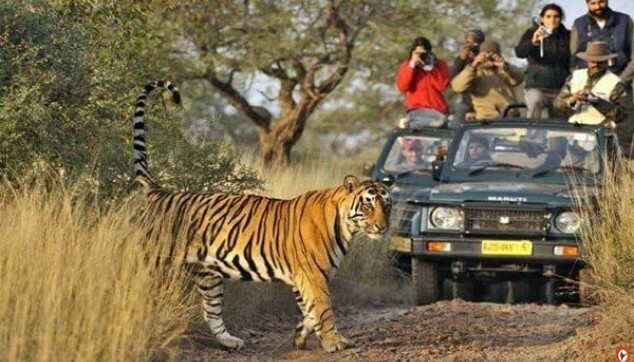 Enjoy the Jeep Safari in Ranthambore National Park. 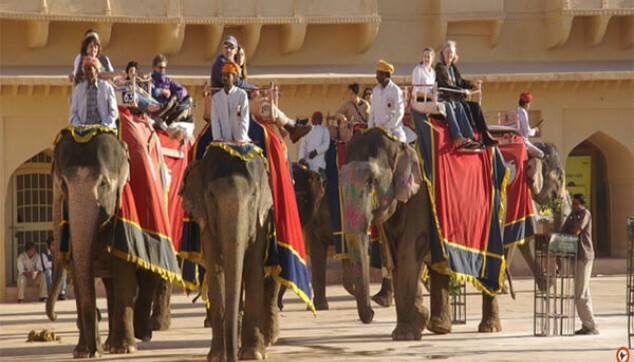 Have fun on Elephant Ride at Amer Fort. Between 8:00 -11 am pick up from Airport or Delhi Hotel and check in to Hotel later, our chauffeur along with expert local guide will pick you up from the hotel and takes you for a day trip to Delhi start from the Red Fort used as the political center of the Mughal dynasty. Then, we move to the India Gate, an archway constructed in the reminiscence of soldiers who died in the First World War. Next move is towards the outside view of the Parliament House and the President House (Rashtrapati Bhawan). After that, we will take you to, Lotus temple and Qutub Minar. After that, our driver will drop you back to the Hotel for dinner and night stay. Early in the morning after breakfast, our driver will pick you up at08:00 am from your Delhi hotel and drive you to the Agra for Delhi to Agra day tour. On arrival at Agra, after check-in and freshening up, our expert guide will join you for your Agra visit starts from visiting the globally famous Taj Mahal highly praised for their fascinating architecture, panoramic view and incredible carvings. After that, we will take you for a delicious lunch (own expense). After Lunch, we will drive to visit the Agra Fort a treasure house of Mughals. After that, the guide will take you to visit the Marble factory & some famous shops only if you want to do shopping. Later, you will be a drop back to the hotel and enjoy dinner and overnight stay at Hotel. Early in the morning after breakfast and check out, our chauffeur will take you to Ranthambore for your Ranthambore tour package. After a drive of around 7 hours, you will reach to your destination hotel spend an evening in your own activities at the resort after dinner get retired for the night in the hotel. Early in the morning at around 6-6:30 am, our chauffeur will drop you to the Ranthambore National Park from where you hop into the Jeep Safari to Ranthambore National Park. After completing the safari, a driver will again drop you back to the hotel for breakfast and freshen-up. After that, we will take you to visit the Ranthambore Fort, Ganesha temple and other attractions of the town. Later, we will drop you back to the hotel for a palatable dinner and overnight stay. Early in the morning after breakfast, our chauffeur will drive you towards the Jaipur. After completing a journey time of around 4-5 hours you’ll reach to your destination hotel. After check-in and freshen up, our driver will take you to the visit to Birla Temple and drop you back to the hotel for overnight stay. In the morning after breakfast and check out from the hotel, our driver along with the expert local guide will take you to the Amber Fort where you will enjoy an elephant ride here in Amber Fort. The next move is towards the Jal Mahal, placed in a midst of a Man Sagar lake. Here, you can have fun on Camel Ride. Afterward, we will take you to visit the Hawa Mahal, and City Palace preserved a rich assemblage of weapons, dresses, artifacts and jewelry of that era. Finally, we will drive you back to the Delhi hotel or airport and with this, your private Golden Triangle tour package with Ranthambore comes to an end. 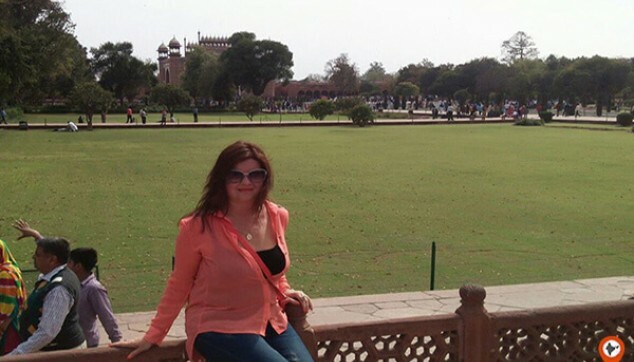 Sightseeing with English speaking tour guide in Delhi, Agra, Ranthambore and Jaipur. Entry Fee of Agra Taj Mahal, Agra Fort. Delhi - Agra – Ranthambore – Jaipur - Delhi by Private air condition Car or minivan. Elephant Ride at Amer fort Jaipur. One Shared Jeep Safari in Ranthambore National Park. Lunch or any other Meal unless specified. If your first-day tour date on Monday in Delhi, then you visit “Humayun's Tomb” instead of Red Fort, Fort closed on every Monday. Lotus Temple also closed on Monday but we shall arrange the outside visit of Lotus temple in case your tour on Monday. Monuments order can be before or after. 29 -15 days prior commencement of tour, 25% of travel cost. 14-09 days prior commencement of tour, 50% of travel cost. The heritage, lifestyle, and culture of India have always excited me. I loved the places covered in this tour. My personal favorite was Ranthambore National Park. Apart from the places, the guide took all the hassle showing us the best places to eat.